The Young Men’s Leadership Academy, a failing all-boys school, is being targeted for a “turnaround” effort by the school district. Under the plan unveiled on Wednesday night, the school district will have all staff members, except the principal, re-apply for their jobs at the school. School day will be extended by 60 minutes. And teachers will be provided extensive professional development, through the summer and during the school year, on effectively instructing boys. District staff have visited all-boys schools in place like Boston to figure out a way to remake the Young Men’s Leadership Academy, which was created three years ago with lofty goals that never materialized. 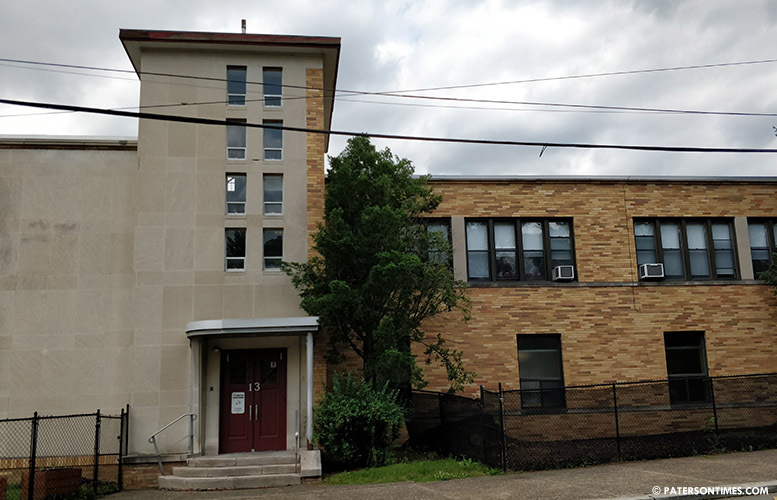 The school was placed in the lowest five-percent of low-income schools in the state by the New Jersey Department of Education earlier in the year. 90-percent of the boys failed English section of the Partnership for Assessment of Readiness for College and Careers (PARCC) in 2016-17 school year. Longtime school board member Jonathan Hodges asked about the reading scores on Wednesday night. He wanted to know where the boys were falling short. Hodges asked whether the school will include hands on learning which is appealing to young minority boys like MakerSpace. Warren said the district is looking at project-based learning. Hodges suggested introducing Makerspace to the school. She said a plan has to be put together before the district purchases materials for Makerspace. “We’re not catching their attention. We got to find ways to capture their attention, particularly early on, so they can be locked into the education process,” said Hodges. The school suffered from instability both in location and staff. The school was moved from downtown Paterson to Prospect Park. The district extended the lease on the Prospect Park building for two more years to ensure stability. Some school board members wanted a way to lock in teachers for two or three years after training them. However, this won’t be possible under the existing teachers’ contract. There will be no “forced placement” of staff without the principal’s permission at the school under the plan, said Warren. Warren said the changes will be made ahead of the 2018-19 school year. She outlined ambitious goals for the school, which has fewer than 60 boys in grades 3-7 (8th will be added in Sept. 2018), in her presentation to the school board. She wants 80-percent of students entering grades 3-5, who are two or more years behind in reading, to boost their reading skills by one level through guided reading and intervention. She wants school attendance increased by 2-percent from the current 93-percent. Students in 6-8 grades will improve their writing skills by 25-percent, according to another goal. School board members Capers called it a “good” plan for the school. “We don’t need to close it. We need to fix it. I like Ms. Warren’s plan,” said Capers. He said the district needs to provide the school’s principal with resources. Capers said he is also lobbying the district to let the students use the YMCA on Ward Street for gym. “They don’t go anywhere,” said Capers. He said the YMCA has a track field and swimming pools the boys can use. The Young Men’s Leadership Academy will be the city’s 2nd “turnaround” school. School 21 was designated in 2016. If the school is in prospect park how will they go to gym downtown? Busing I assume which equals more $$$. Also are the teacher supposed to work the extra hour for free? Have the lead levels of the children been tested? Do they come from print rich environments? Do their parent(s) involved in their education? Are these kids self-motivated? Paterson used to have a great all-boys school called Don Bosco..how did they succeed? Oblige parents to be involved or their kids get dropped. The problem is much bigger than the school curriculum and present teaching methods. Note, the present genetics models which assume students have and by gender, different ways of learning is based on shared characteristics are created by differential treatment from infancy to make boys tough. The more activity; the higher muscle tension affecting handwriting; the higher average stress created by the more constant, harsh treatment by parents, teachers, others. New, better thinking connected with the more harsh treatment, -stress is better defined as "many maintained layers of mental work" from many past, present, future experiences, fears, anxieties, preparation for defense along for boys the faulty weights and values of need for strength, power, preparation for defense to ward off further aggressive treatment. The much less kind, stable, verbal interaction along with the more aggressive treatment create much less freeness of expression and much lower free,social vocabulary/communication skills from the social emotional distance created and the lack of more open, supportive communication by parents, teachers, others. -To make it worse the false belief in toughness in interaction with male students, if even through only past experience, creates even more fear and less closeness for teachers. The higher average stress along with much less social vocabulary/communication skills hurt reading/motivation, many of which have already created lags in reading for years. The handwriting/motivation is also hurt by lower social vocabulary and higher muscle tension from the higher average stress which hurts writing/motivation and creates early fatigue. We must remove our current genetics models in ability and also learn how to provide boys from an early age the same kind, stable, verbal interactions/support we provide our girls from infancy.